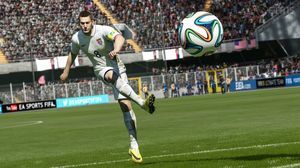 FIFA 15 senior producer Nick Channon chats with James about what more processing power has meant for EA's enduring football franchise. 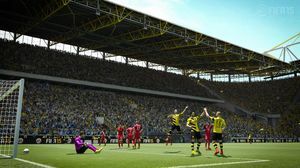 For Nick Channon, senior producer on FIFA 15, the story of the World Cup was the story of goalkeepers. It was the keepers that decided the biggest event in global sports, and Channon enthuses about performances by The US’ Tim Howard, who broke the record for the most saves in a World Cup game, and Germany’s Manuel Neuer, who was pivotal in securing the cup for the country we’re now meeting in. 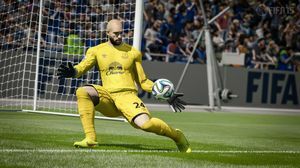 It’s also a happy coincidence for Channon and the team at EA Canada, as one of the most important changes FIFA 15 brings to the series is a much-needed overhaul of the goalkeeping system. In previous entries in the FIFA series, goalkeepers would make a decision and stick to it for better or worse. For example, a cross might come in, and the keeper AI would make the early call to catch. Even if the circumstances changed and a punch would become more prudent, it was impossible to change course. Now, keepers constantly analyse the situation and make more dynamic choices based on how the action is progressing. It’s a subtle change made more impressive by an overhaul to keeper animations. In the past, when a keeper dived to make a save, he was committed to a particular animation irrespective of where the ball was heading. Now, he can throw his hand back in the opposite direction, and whether or not he makes the save, it adds the kind of authenticity players and viewers would expect of a real keeper. “Intelligence and flexibility around animation was just something we hadn’t had before, and a lot of it was that we didn’t have the processing power to constantly be making these decisions,” says Channon. 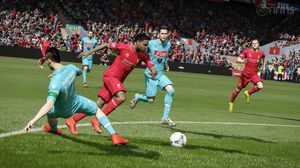 The changes to goalkeeping are demonstrative of how EA Canada plans features and systems for the annual FIFA franchise. The team has been working on a new goalkeeping system for several years, says Channon. 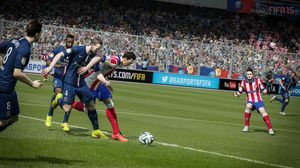 It also means the team is working on new systems to be introduced in FIFA 16. 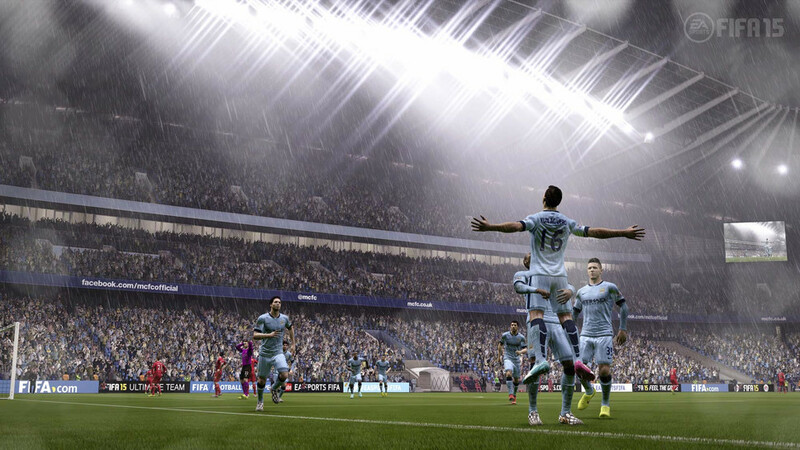 Of course headers weren’t the only feedback the team at EA Canada got on FIFA 14. Overall the game felt much slower than it had in previous years, and turning in particular felt like piloting a yacht rather than an agile athlete. It’s nuanced changes like these that generate a kind of responsiveness and fluidity when playing that really separates this year’s game from last year’s entry. These are changes that speak to veteran players of the series. For new players who, for example, invested in the World Cup and now want to take it forward, EA Canada has lowered the bar to entry. In the past, concedes Channon, the entry level was kept high because EA wanted FIFA to play cleverly. EA has also added five specific new Skill Games for beginners. These cover very new basic controls and concepts such as passing, shooting and moving. But for Channon, what ties the whole package together is how FIFA 15 now tracks the emotive states of the game and of individual players. “One of the things we’ve felt, living in North America, the crowds at American sporting events are great, but you don’t get that home and away feeling generally, and that really makes a difference to the game. 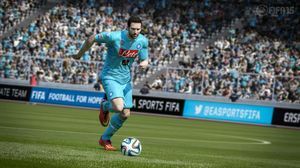 FIFA 15 comes to PlayStation 4, Xbox One, PlayStation 3, Xbox 360, and PC on September 26. Up 62% on last year. Put your game where your mouth is.